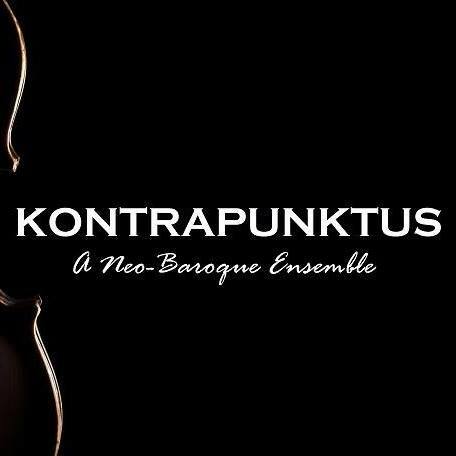 Neo-Baroque orchestra, KONTRAPUNKTUS, will be making its return Long Beach engagement with a 90-minute concert featuring a rare and dynamic classical repertoire commemorating influential Baroque composers Johann Sebastian Bach and Arcangelo Corelli, while also introducing new Baroque music from a young, local, living composer named Mark Moya. The program, entitled Mentors, Pupils & Scions consists of music from legendary Baroque composers who were impacted by Bach and Corelli, including Francesco Geminiani, Pietro Locatelli, Domenico Scarlatti, Charles Avison, George Frideric Handel, George Philipp Telemann, Johann Adolph Hasse, Unico W.R. van Wassenaer, and Bach’s prolific sons, Wilhelm Friedemann, Carl Philipp Emanuel and Johann Christian. KONTRAPUNKTUS is a classical neo-Baroque orchestra led by conductor, Edward Hong, who also designed the musical program as Artistic Director. Joining him on stage will be violinists Eduardo Rios, Madeleine Vaillancourt, Hannah Ji, and Kako Miura, violists Tanner Menees and Christopher Rogers-Beadle, cellist Vardan Gasparyan, bassist Marlon Martinez, and harpsichordist, Esther Lee. Together they represent a young, remarkable array of talent who hail from the prestigious Colburn School. There will be a “meet-and-greet” reception with the musicians after the concert for patrons. This concert is made possible through the kind hospitality of Father Ray Morales and his Our Lady of Refuge staff and is supported in part by Arts Council for Long Beach and the City of Long Beach and The Port of Long Beach.